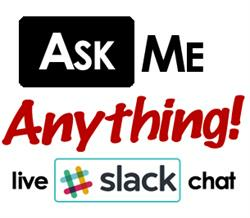 We're kicking off the next round of "Ask Me Anything" (AMA) sessions where members who have expertise in a particular area are available for a live chat for 20 minutes. This takes advantage of the live chat nature of Slack, which is unlike any discussion forum. Everyone is welcome to present once per year. Here's the link to sign up as a presenter. My job is to get the word out for you on Slack, ASAE's Collaborate, and on QiqoChat. Description: "Do you wonder if your association's programs are priced correctly? A three-step price sensitivity analysis can help your organization to accurately determine value."